Charter Hall has snapped up a Canberra office block for a new direct property fund, buying it from fund manager Quintessential Equity for $58.6 million. The 9950-square-metre office block at 44 Sydney Avenue is opposite Federal Parliament and has the Department of Foreign Affairs and Trade as its anchor tenant. Constructed in 2003, the building has a 100-kilowatt rooftop solar system and a 4.5 Star NABERS Energy rating. The property will go into the recently launched Charter Hall Direct PFA Fund, a vehicle focused on office properties anchored by government and credit-rated tenants. “This is a strategic acquisition of a high quality building leased to a government tenant on a long 7.9-year average lease term,” said Steven Bennett, who heads Charter Hall’s $3 billion direct property business. Over the past three months, the PFA fund – it offers a prospective yield of 7.25 per cent per annum – has raised more than $80 million in equity from investors. Quintessential had leased up the Sydney Avenue building after buying in 2015 from 360 Capital for $32 million . “When we purchased this building in 2015 no one wanted to know about Canberra,” chief executive Shane Quinn said. “Vacancy rates were running at 15 per cent across the board, and this particular property was already more than 30 per cent vacant, with one tenant about to vacate and the others all on relatively short-term leases. “Our plan was to stabilise the income and deliver long-term, strong rental yield for our investors. The property was handled by Colliers International’s Tim Mutton and Paul Powderly. “Opportunities don’t get much better than this: a strategic location close to the corridors of power, income underpinned by the AAA-rated Commonwealth of Australia and relatively low capex,” Mr Mutton said. 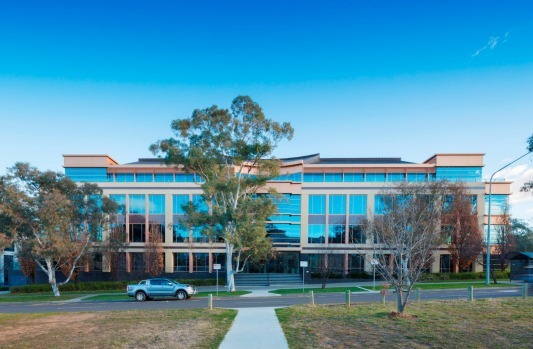 In June, Quintessential banked a windfall for its high-net-worth investors after selling another Canberra office building for $58.4 million to Asian investors, after having paid $14 million for it five years ago. But the boutique Melbourne-based investor remains keen on its exposure to the national capital along with markets including Brisbane, where it acquired an office complex at Mount Gravatt last year and Geelong, where it is developing the $120 million WorkSafe headquarters, which is being funded by the Clean Energy Finance Corporation.